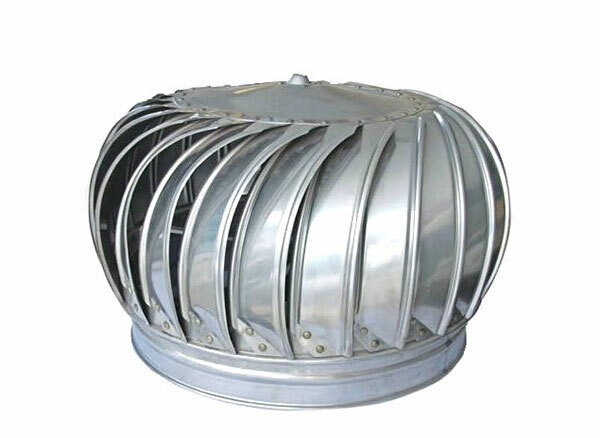 Natural ventilation device, also called the roof ventilator and natural ventilation ball, is ventilation equipment put on the top sides of the industrial buildings. Without electricity supply, it brings enough outdoor fresh air in 24 hours, promoting the plant air circulation convection and improved working environment. Common material on the market: color steel and stainless steel (201 and 201 stainless steel material). This product is oil and electricity free, no need to repair with simple installation. It only needs 3.2 km/h wind or more than three degrees Celsius temperature difference between indoor and outdoor conditions to ensure operating 24 hours a day. It can reach the goal of ventilation. Function: Produce air convection, heat release, reduce air conditioning load and increase indoor fresh air. It can also drain moisture, mildew and steam humidity from the roof, keeping the proof dry. Compared with heavy electric blowers, it reduces support costs and noise and saves electricity. Application: Applicable to all factories, warehouses, and the roof ventilation, aeration, air release spaces. 1. Using principle air convection in nature, flow any parallel direction air, speed up and shift to vertical air flow. 2. Using stack effect produced by the buildings and equipment combination to achieve indoor ventilation.